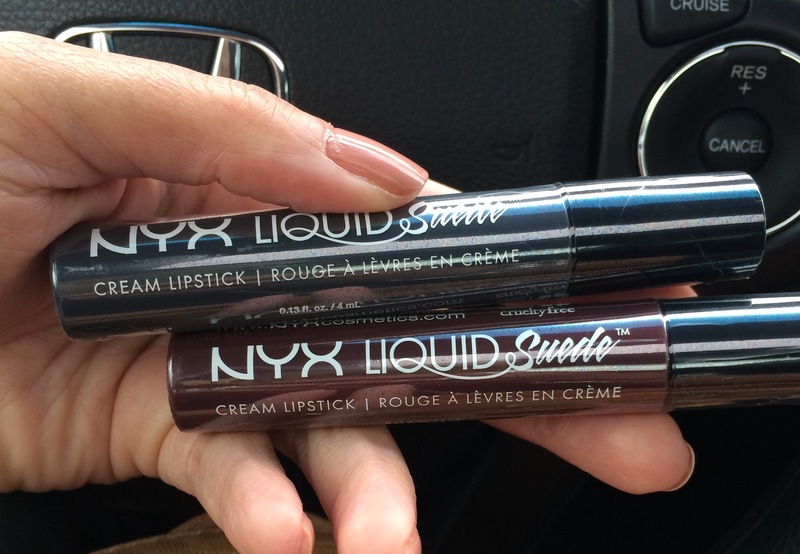 I’ve been waiting for these to show up in Ulta stores since they came out! A) because I was too cheap to order online and pay shipping B) because they were constantly sold out online! Earlier this week I got the email that they’d be available in all Ulta stores this week and could hardly wait to get there! Of course I wanted them all, but I had some self control…this time and only got two. I also wanted to try them out first to see if I even liked them. So, the verdict is in, I do love them! Definitely going back for more tomorrow! They feel great on my lips, non-drying, and seem to be very long lasting. I bought vintage and stone fox. I was disappointed that my Ulta didn’t have any testers or I’d probably have gone with different colors. 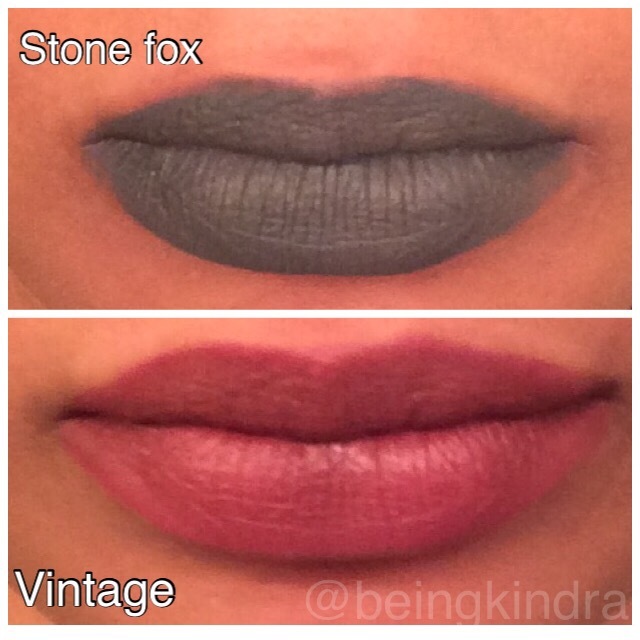 Stone fox is grey, which I knew, but it goes on a little lighter than it looks in the package. Vintage looks also darker in the package but is lighter. I’ve been searching for a dark red, so I was hoping this one would be the answer to my prayers, but it’s not. Here’s a picture of the two that I got. And here’s what they look like on. They dry to a nice matte finish which I love! Have you tried them yet and what do you think? I love the stone fox! Thank you for letting me know they are in stock! You’re welcome ☺️ I was super excited about the news!! !